Qantas has reported improving passenger numbers and yields for the three months to September amid ongoing weak consumer sentiment. The latest monthly operating statistics released on Friday showed Qantas domestic (including QantasLink) reported a 1.6 per cent lift in passengers for September, compared with the same month a year ago. The rise in passengers, coupled with one per cent reduction in capacity as measured by available seat kilometres (ASKs), resulted in load factors climbing 1.1 percentage points to 74.4 per cent. Qantas said domestic yields – a measure of average airfares per passenger – across its Qantas and Jetstar operations rose in September. It was understood that it was the first time since 2012/13 Qantas has reported an improvement in yields in the Australian domestic market. Qantas chief executive Alan Joyce said the industry-wide domestic capacity growth was expected to be flat in the six months to December, down from the airline’s estimate in August of one per cent. “What’s happening at the moment is Virgin and Qantas are not growing capacity. That is clear,” Joyce told shareholders at the Qantas annual general meeting in Melbourne on Friday. On the international front, Qantas said yields on its international operations were positive for sixth consecutive months in September. Joyce said international capacity growth into and out of Australia for the six months to December 31 was expected to be below underlying demand growth for the first time in five years at about 2.4 per cent. Qantas chairman Leigh Clifford said the Australian economy was currently in transition, with the immediate outlook somewhat mixed. “There is still a general cautiousness among consumers that is affecting all sectors of the Australian economy,” Clifford said. 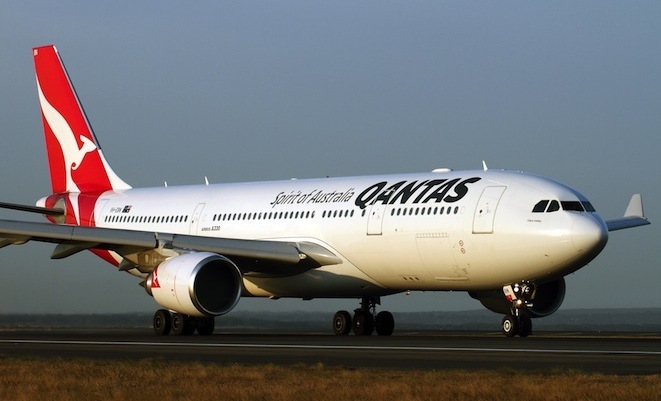 Investors cheered the upbeat traffic data, as well as the reaffirming of guidance for a first half underlying profit before tax in 2014/15, with Qantas shares closing the day on Friday up five cents, or 3.64 per cent at $1.425.